Of course there was a condition, we had to make a cookie decoration acording the Sepember theme. about the festival and what they made, and I got inspired to make these Elephant cookies. Shyama helped me to decorate a she is far more better ( I must say when it comes to drawing that girl have talent, when ever there is free time she starts painting etc) . Tip: If wrapped in tinfoil/cling wrap or kept in airtight containers in a cool place, un-decoratedcookies can last up to a month. Use immediately or keep in an airtight container.• Tip: Royal Icing starts to harden as soon as it’s in contact with air so make sure to cover containers with plastic wrap while not in use. Flooding“Flooding” a cookie is a technique used when covering a cookie with Royal Icing.1. You outline the area you want to flood which helps create a dam2. 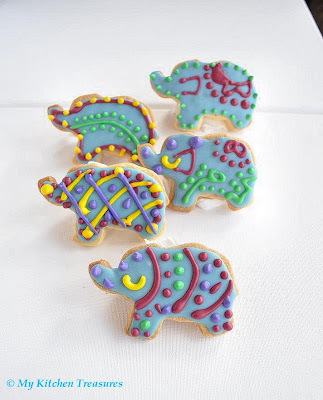 Wowwwww soo cute, elegant and beautiful sugar cookies...awesome work..
they look super cute...love the elephants. will make these this christmas for my son. I salute your patience Finla for such minute details on these cute little goodies. Lovely and colorful. woww..awesome...those elephant cookies are amazing.. happy ganesh chathurthi HC.. :) snaps are amazing.. So cute cookies! I love the colors and drawings Shyama made! Your cookies are so beautiful! The colors, the shapes, the detailed decoration, I love it all! So cute and colorful! great job! Aww, those elephants are so, so super cute! Your daughter and you did a great job! Lovely cookies! I love their Indian-like patterns and colors. OMG, how pretty is that. They are so beautiful, how did you even eat them ? 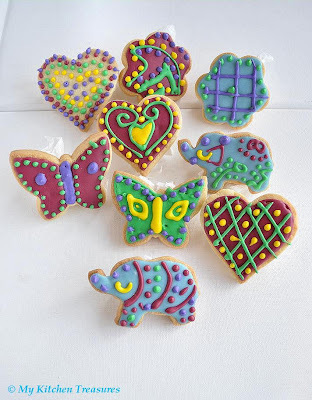 I love the way you decorated your cookies, the elephants are my favorite. Great job! 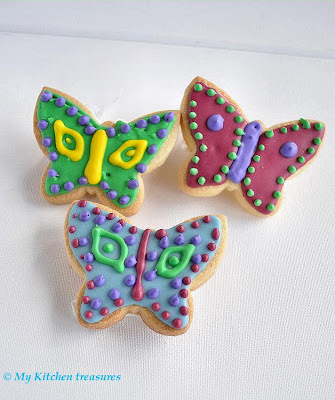 Awasome cookies and looks soooo cute...cant take my eyes from those cute lil butterflies!! Such cute cookies! I love your detail and bright colors. Nice job on the challenge! Wow..these cookies look too good to eat...u really have a lot of patience to decorate these soooo beautifully...Really Nice. colorful and so very attractive cookies. oooo''soo cute, colorful and yummy looking cookies. Excellent! Great job! Your icing has such fantastic vibrancy! And good job piping! That's amazing how you have decorated your cookies! Nice! These are sooo pretty Finla, love them! Wishing your daughter the very best in college. I'm so impressed with these fabulous looking sugar cookies, they're so beautifully decorated. Congratulations. Your elephants & other lovely tiny multicoloured cookies look the max!! You decorated them so beautifully too! Lovely cookies. Gorgeous colours too. Great work! lovely cookies..luv 2 hav some! They look so darn cute..lovely colors! 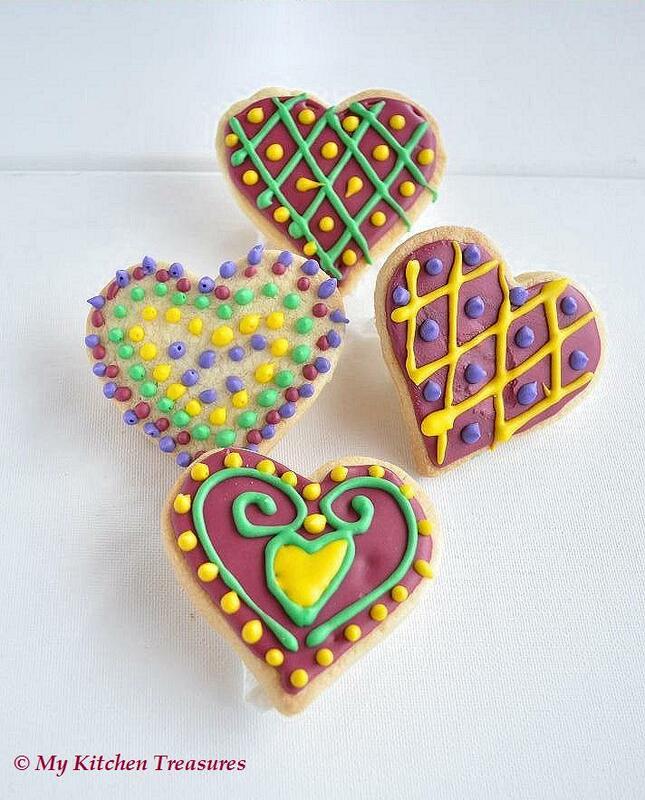 I love your colourful cookies! I'm glad that you and your daughter had a fun time making them together. Oh these are so adorable, love them! Such cute elephants, love the colors. Way to go....I found your site through daring bakers. Awesome...amazing cookies..couldnot find google connect..What is with this gogole connect..Many a places it's causing problems!! I love your colourful cookies and their beautiful designs! The small elephants are soooo darn cute!! Love the elephants! Great colours on your cookies! I loveed your cookies the minute I saw them on the forums! Beautiful, beautiful is all I could keep saying. I put a link on my post to your cookies, I hope you don't mind. Now, those are the best ones I've seen yet! I love the decoration! So original and beautiful. Your cookies are incredibly beautiful! These look absolutely lovely!sooo cute . lovely work dear Happy Cook! Im in love of the elephants! alway love them! Oh my! Those are just too pretty to be eaten! I love your blog and would like to give you the Lovely Blog Award. Please pull the award from my site. I will be posting about it soon. Keep up the good work. Love your recipes. Goodness me, These are the most beautiful decorated cookies I've seen around. Oh my goodness,I don't know how I missed this post,very very beautiful post,you and shyama has lots of patience to do all these decorations! Very pretty! You have done an awesome work!